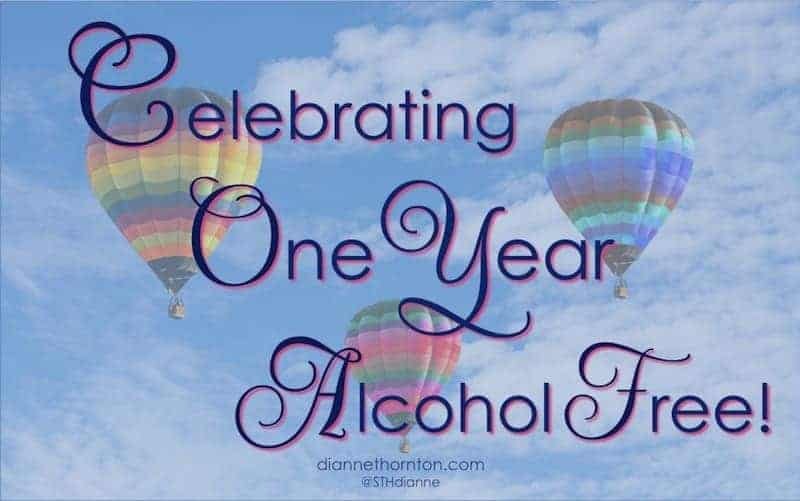 Celebrating One Year Alcohol Free! 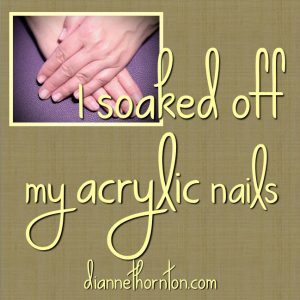 I debated whether to write this post. In fact, I’m a little nervous about how life will go once I post it! But a year has passed since I obeyed and said yes to God’s no regarding alcohol consumption. I wish I could say it’s been five years, or more! I resisted far too long. It hasn’t been easy, but God met me step for step. 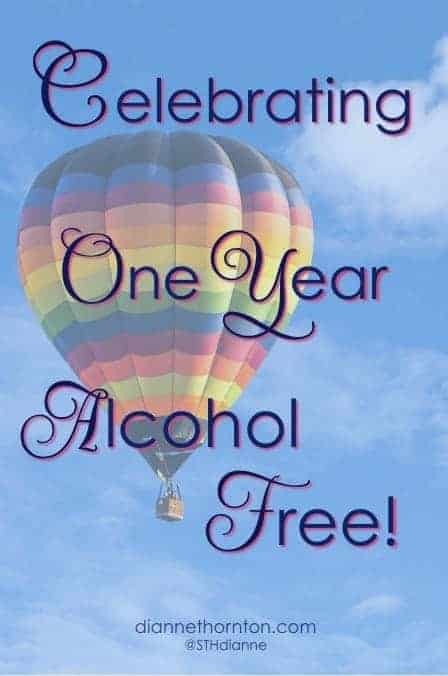 One year alcohol free is reason to celebrate and honor Him for this work in my life! It’s important to understand that what God said to me, I am not saying He said to anyone else: “Others may. You may not.” I’m not judging anyone who is in the “may” camp. Each of us is accountable before God for what He expects of us. If you’re in the “may” camp, enjoy! But if God is speaking to you about this, please be encouraged with my story. You are not alone. As expected, I felt the loss of being alcohol free most acutely in the first few months. I skipped a few activities where I knew alcohol would be served. And there were more than a few stressful days when I all wanted was to have a “treat.” And to retreat. For those who have an unhealthy relationship with alcohol, don’t deceive yourself. It is a liar. It says, You deserve this! You’ve worked hard. Now is “you time.” You think you are treating yourself. In reality, you are binding yourself to a difficult taskmaster. And if God has His finger on this area of your life—and you are ignoring it, like I did—Oh, the guilt! 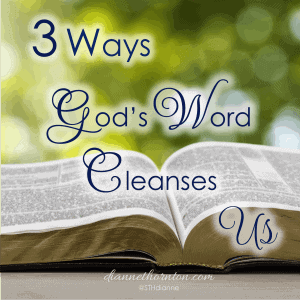 Which the enemy will use to make you feel even more guilty! I don’t miss that at all. 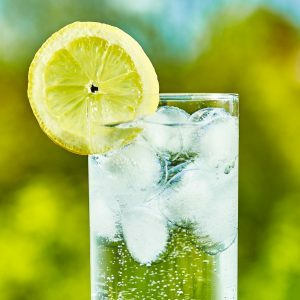 Looking back, there were times I felt that alcohol “made an event”—like enjoying red wine while my husband and I cooked dinner together in the kitchen, sharing a summer beverage on our pergola, or trying a new cozy treat during the holidays. A friend encouraged me to create new “pathways” in my brain for these activities. In other words, find joy without alcohol. The truth is—joy is in relationships. Whether with my husband or girlfriends. It doesn’t matter what we’re doing. A trip to the grocery store or a weekend away is special when you’re with someone you love. Expecting alcohol to be the thing that makes an event special is not the way to think. I looked for a “replacement” for my so-called treat. When I was pregnant with my now-adult children, I discovered sparkling waters. Back then the only ones available were San Pellegrino and Perrier—and plain, at that. But I thought they were great, and enjoyed them from time to time. I was delighted when more companies began manufacturing them. Now there are almost as many varieties of sparkling water as their are soda. They are my go-to treat. I have found them to be a welcome alternative. Plus, a simple Pinterest search yields many ways to infuse them and your own water. But red wine is something that has no equal (in my mind). It was my favorite and has been the hardest to say goodbye to. But I’m not looking for an alternative. I’m learning to live with its absence. About four months into my alcohol free life, God showed me a precious truth in His Word. I am not going to paraphrase it. I want you to read it like I did. 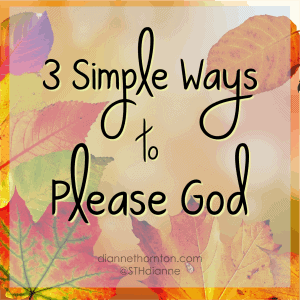 From an obedient heart toward God, but feeling the loss of what He asked me to release. Do you see what I see? Jesus is not drinking wine now, either! He is waiting for me! Waiting is a good thing. Knowing that Jesus is waiting, too, draws my heart closer to His. It doesn’t necessarily keep me from wanting a deep, rich Cab from time to time. But it helps me know I’m not alone in my wait. As far as “loss” goes—that’s another lie. When I feel like I’m missing something, I’m not. Alcohol caused me to miss more than its absence ever will. I hate to say it, but when I would have a glass (or 2 or 3) of wine in the evening, I was bound to the house. Alcohol free, I’m free to go and do as I please. Last year I read through the Book of Proverbs each month. (Something my dad taught me when I was young.) Solomon has much to say about alcohol. 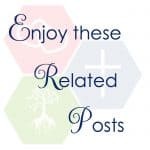 Each one I read resonated in my heart and in my mind—God confirming and approving my obedience to Him in living alcohol free. One Year Alcohol Free Is In The Books! I thank the Lord for His faithfulness to me, and I trust Him to continue meeting me step for step. I’m also thankful for my Bible study ladies who encouraged me and prayed for me as I followed (and continue to follow) God in this. 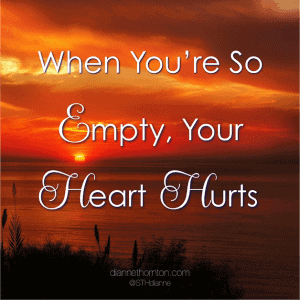 Sometimes I feel that God must be like an exasperated parent when He sees my frailty. Because that’s how I am sometimes. But God’s love transcends human love. He is patient and kind with His children. He draws us closer to Himself with cords of kindness (Hosea 11:4). And His kindness leads us to repentance (Romans 2:4). Any no He gives us is a doorway to a better yes. That door always leads to spiritual freedom. Many of the psalms recount God’s goodness to Israel. They needed the reminders of His past faithfulness to follow Him into an unsure present. We are the same. This recounting of God’s faithfulness to me reminds me that God is for me. He is with me. And He will guide me step by step for each challenge ahead. You know what? He’ll do the same for you. Disclosure: I am not a counselor, nor am I associated with AA. I am not an expert on alcohol addiction or alcohol related illnesses. I only know my story. But if you want to talk with someone or have me pray with you, I’m available. Feel free to email me, and we can start a conversation. Congratulations, Dianne! That is a joy and an accomplishment! I am proud of you. I fall in the “may” camp, but drink alcohol about 6 times a year, one glass, so it has no hold on me, but my daughter feels strongly about not drinking. (We have heavy social drinkers in our extended family.) And as I read your post, I am thinking about a sugar fast. It would be so good for my spiritual life. This is a beautiful post. You are beautiful in so many ways. I know God is happy for you in this en devour. Yes, and thank for reminding me to read through the Proverbs every month.